This book is written primarily to the person with an eating disorder. An attempt has been made to approach the subject in a traditional manner, giving a basic overview of the subjects associated with such disorders, so that a better understanding of their causes may be obtained. 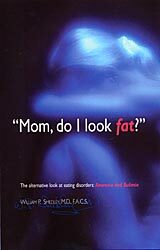 This book is also written to the parents of the individual with an eating disorder, for their suffering is even greater than their child's. Here is an opportunity to view the disorders in a different light, with a demonstrable cause for their child's symptoms and actions. The facts and observations cannot be dismissed until the prescribed tests have all been performed. Prove what I say is true, or at least prove what I say is false. But get the studies done! Then ask for an acceptable and clear explanation of why these studies are abnormal, and how these abnormal studies are affecting the health of your child with the eating disorder. by W.P. Smedley M.D. F.A.C.S. ... It is my fondest hope that this effor on my part, prompted I know, by the Holy Spirit and by the previously hopeless suffering of the patient, and especially their parents, who have the medical diseases of anorexia and bulimia, will be relieved.